Leslie Cotter, MD, is a professional coach and facilitator who is also a medical doctor, psychiatrist, and psychotherapist. Through her career as a psychiatrist, Leslie has worked with a wide range of individuals and groups from the seriously mentally ill to people dealing with life’s challenges. She has held associate professorships at the University of British Columbia in Vancouver, BC, Canada and McMaster University in Hamilton, Ontario, Canada. In 2005 Leslie retrained as a Professional Coach and attended the executive and life coaching training program with Breakthrough Enterprises in San Rafael, California. It was then she turned her attention to Professional Coaching. For the past 5 years she has worked with individuals and teams who are interested in finding deeper meaning and effectiveness in both their personal and work lives. 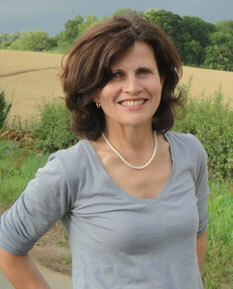 She also leads international workshops on dealing with life transitions with her husband, poet David Whyte. Leslie is passionate about helping people discover their gifts and natural talents and bringing these forth in their daily lives. She has a firm belief in people's innate capacity to find their own solutions. As a group facilitator Leslie works with a wide range of groups ranging from the staff of large corporations wanting to build stronger teams, to classrooms of children wanting to create satisfying friendships. She also specializes in training youth workers and health care professionals in ways to hold generative conversations with young people and health care clients. Leslie also leads self-development programs for girls and trains adults in methods for using arts in their youth work, counseling, and coaching practices. She is on the facilitation team of PYE Global (Partnership for Youth Empowerment), an international training organization that develops transformative youth leaders. Leslie brings to her work extensive experience working with people from all walks of life, a practical can-do spirit, and a deep interest and curiosity in what makes people and organizations tick. She has a warm and empowering leadership style. The confidential nature of Leslie’s coaching practice prevents her from publishing a fulsome client list. Testimonials.